Danielle Orlando is an accompanist to many international opera singers, a vocal coach, and an artistic consultant to many prestigious musical organizations. She was accompanist, judge, and artistic coordinator for all of the Luciano Pavarotti International Voice Competitions. She worked with Gian Carlo Menotti and the Festival Dei Due Mondi as artistic coordinator and coach for nine seasons. 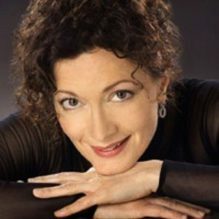 She was the artistic administrator and head of music staff for the Opera Company of Philadelphia; and has served on the music staffs of the Metropolitan Opera, Washington National Opera, Teatro Colon (Buenos Aires), Spoleto Festival (Charleston, S.C.), Merola Opera Program at San Francisco Opera, Wolf Trap Opera Company, AIMS (Graz, Austria), ECOV (Belgium), and Curso de Perfeccionamiento (Mexico). Ms. Orlando is a guest judge for the annual Metropolitan Opera National Council Auditions and works with the Junges Ensemble of the Dresden Semperoper in Germany. She has performed with the Savonlinna Opera Festival in Finland, a master coach for Oberlin in Italy, and a guest music coach of the WNO Domingo-Cafritz Young Artist Program of the Washington National Opera. Ms. Orlando joined the faculty of the Curtis Institute of Music in 1986. She is also a master coach for the Academy of Vocal Arts in Philadelphia.